The Eurail was launched in 1959 with the goal of convincing the travelers that visiting Europe using a rail pass is the bet way to discover the continent. They offer a range of European rail passes based on the countries you want to visit and how many train travel days you need. If you have questions on what’s the best pass for your traveling needs, Eurail’s customer service team is ready to answer your questions, or you can get in touch with them via social media. YOU can experience the convenience and fun of train travel with a special TBEX Athens promotion offered by our sponsor, Eurail. The promotion provides for a total of 50 rail passes for bloggers, along with a companion or their family, to help them discover Europe by rail and generate editorial content for their blog. A choice of Eurail or InterRail passes is available. 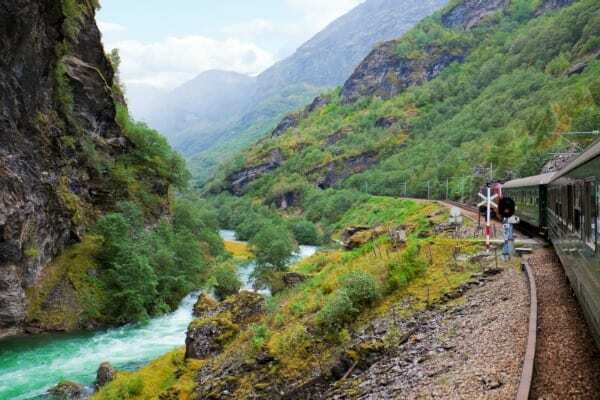 The Eurail Global Pass gives you the freedom to discover up to 24 countries by train, including perennial favorites like France, Italy, and Spain. The pass is valid for 10 travel days within a two month period and has a value of $969 for adults, and is available to non-European residents. The InterRail Global Pass is valid for 22 consecutive days of travel and has a value of €812. It is available to European residents. Passes will be awarded based on an application process. You can fill out the application here. Be sure to specify your address as it will be used to determine the appropriate type of pass for your travel. There are a limited number of passes available for use immediately before and after TBEX, the rest of the passes can be used any time during 2015. Please indicate which time frame you will be using the passes in. You can specify how many passes you want, including for a traveling companion or your family, including children, up to a maximum of four. You will receive a booking form from Eurail that will be used to book your train travel. Requests for travel dates should be submitted as far in advance as possible; last minute requests for pass use may not be able to be filled. Eurail will make determination on how distribution of passes shall occur and there decision is final. Application for passes to be used immediately before and after TBEX will be processed as soon as received, with applicants notified immediately. These passes are good for travel to and from Athens, and are eligible for additional travel as allowed by the specific pass. You must be registered to attend TBEX to receive the pass. All other passes will be awarded during TBEX Athens; you must be present to be awarded the passes. For travel into and out of Athens, you can take a train to Thessaloniki, about a 4 hour and 30 minute trip. From there daily trains run to Sofia, Bulgaria, a great transit point to other cities, including Beograd, Zagreb, and Budapest. InterRailers can take the Hellas Express, a night train, from Thessaloniki to Beograd, Serbia. Eurailers can also take this night train, with an additional fee, to connect to Serbia and Macedonia. Because of the potential for disruptions in train travel in Bulgaria, Eurail recommends that travelers wanting to avoid this possibility should head north or west after arriving in Sofia (avoiding routes in Bulgaria and Turkey). Are you excited about train travel in Europe? Go apply for these passes today, and be sure to stop by and thank our sponsor Eurail for their generosity. The deadline to apply for these Eurail passes is October 15th, midnight Pacific Time.